Contextual Design is a series of techniques that guide cross-functional diverse product teams in how to produce successful products. Core to the practice is a series of working design meetings that are run with principles that ensure that the people work well together. Read this book to learn this world-renowned user-centered design technique and how we use data and structured ways of working together to bring diverse teams to a shared understanding of what to create. Contextual Design is used by companies and universities worldwide. 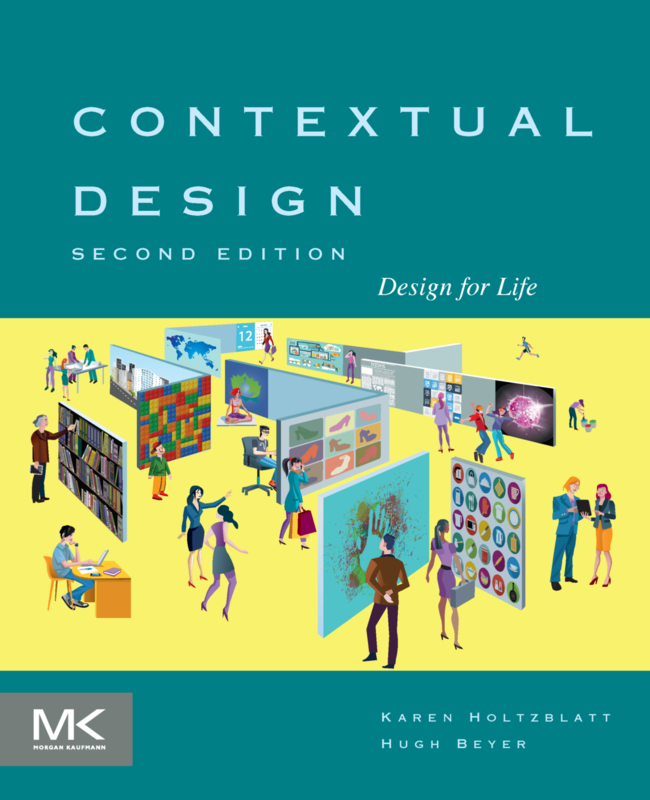 This new book, Contextual Design 2nd Edition: Design for Life is completely rewritten, covering how we’ve changed Contextual Design, including new techniques for the Cool Concepts and designing for mobile and service platform. Notably it expands descriptions on team formation and principles of working together well. Karen’s article in Network Computing outlines the critical factors companies should focus on in order to retain women working in IT. The article is a great introduction to work being done by the Women in Tech Project. At the CHI 2016 Conference, we shared the initial Women in Tech research and Action Framework. SIG participants then reviewed the field data and generated interventions. Review the ideas, comment on them, and add your own ideas. If We’re a Team, Why Don’t We Act Like One?